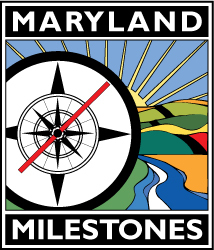 Maryland Milestones & Anacostia Trails Heritage Area Inc. (ATHA) is the regional Heritage Area program – part of a system of Certified Maryland Heritage Areas – for the Prince Georges’ County and Washington D.C. Metro area. We celebrate the unique historical innovations, the major community moments, and amazing resources of the region. The Heritage Area is a place to discover your own personal milestones – from kayaking or hiking to biking the trails and from experiencing history to enjoying arts! Located in northern Prince George’s County – bordered by Washington D.C., Howard County, Anne Arundel County, Montgomery County, and the Baltimore/Washington Parkway, the region encompasses approximately 84 square miles. Come and enjoy our world class theaters and musical venues, artist studios, and public art. Explore our abundant farmers markets and community festivals. Take a ride down the Anacostia and Patuxent Rivers; hike natural areas; bike the region’s trails; and enjoy the outdoors. Shop, dine, or take a walk through our unique small communities. Anacostia Trails Heritage Area and Maryland Milestones will connect you with our history, culture, arts and natural resources. Call or email for more information!